Extra Happy Ghost!!! Misery!! Pop!! Forever!! Today, it’s startling easy to construct FM-friendly million-selling dead-eyed-pop SMASH HITS by brazenly using entire Garageband loops and popping some warbling about Umbrellas over the top. And while there’s something horribly pleasurable about the thought of the vast producer’s fee which the makers of that song claimed for the act of shuffling a couple of pre-made loops around, it’s more heartening to hear music makers experimenting with their own equally delicious sounds. Extra Happy Ghost!!! 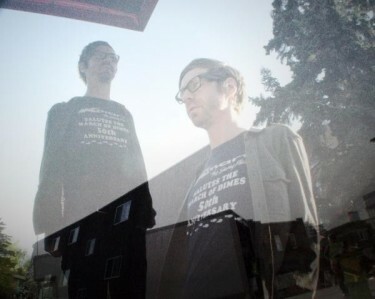 craft clanking bursts of miserably soaring pop to make the music which a Prozac-soaked mind would hear when presented with excitable Euro-Disco. To make a song that sounds just as much like the End Times as it does Good Times takes a special talent, and Lo! that’s exactly what So At One reveals the band to be. Soft, close, gloomy and woozily euphoric, here’s a song that connects with any emotion you care to be experiencing and wrings it dry. Extra marks are always doled out on ANBAD when a band judiciously scatters punctuation around in their band and song titles, but in Extra Happy Ghost!! !’s case these bonus points are unnecessary, simply because the band are so darn good. 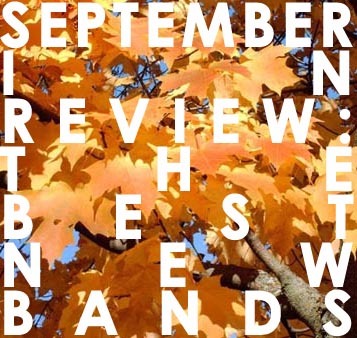 September was a hugely fertile month, sprouting great new band after great new band, and it was a tough job to whittle them down to four for this new podcast. But if we’re anything here at ANBAD, we’re definitely troupers of the hardiest calibre, and so such complex comparisons were undertaken with GREAT SUCCESS. 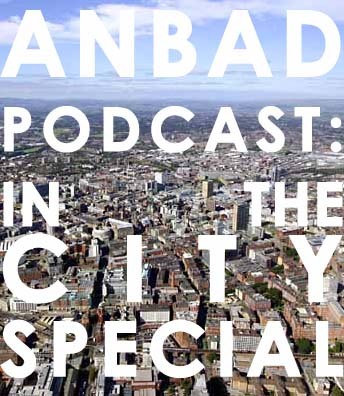 Here’s a bonus ANBAD podcast, all in celebration of the upcoming In The City Music conference here in Manchester. I’m getting hopelessly excited about ITC, mainly because there are so many stupendously good bands who I haven’t previously had the chance to see, but also because I was moving flat during last year’s event, and so was under more stress than Beth Ditto’s belt buckle. In this podcast, I’m talking enthusiastically around songs by bands who are appearing at ITC, and also hailing from Manchester. It seemed like as good a place to start as any. Click their names below for more info on them. Egyptian Hip Hop // Young British Artists // Golden Glow // Brown Brogues // Plank! Urgh – I’m still recovering from my kinda-holiday, but now have to face up to the reality that normal service must resume. 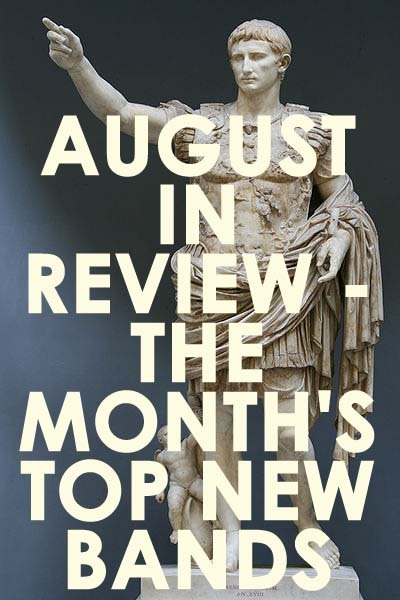 As last month was interrupted somewhat by a week or so off, there were fewer bands to choose from in the round-up – and yet, the standard of brilliant bands was as high as ever. Go figure. 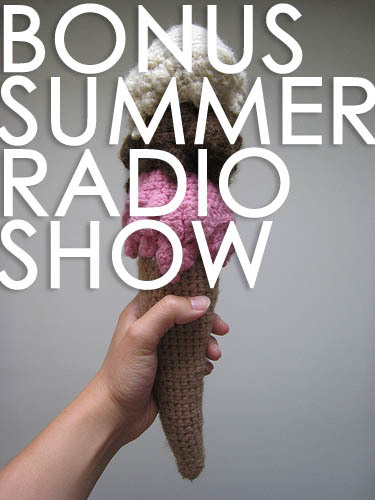 So here’s the show, complete with gob-smackingly excellent bands from August – share and enjoy. FYFI: ANBAD is on holiday for a week and a bit. That’s why the vaguely holiday-themed tag is dangling up there at the top of the page. But because I a) am obsessive-compulsive; b) am outrageously kind and c) love the sound of my own idiot voice, here’s a special bonus ANBAD Radio Show, covering the ‘lost’ best-of shows from the months when I was moving flat and didn’t even have time to sob quietly in a corner, let alone record a radio show. So clickaroo, listen, enjoy some of the (genuinely) greatest bands ever featured on ANBAD, and imagine me sipping cocktails on a Spanish beach – because imagining is exactly what I’ll be doing too, as I’m not actually going anywhere at all. Sigh. In July, when the World Cup finished, a huge, endless void opened up in your writer’s life; a void that could no longer be filled with hilarious slo-mo HD replays of England footballers shrugging their shoulders and visibly counting down the minutes until they could get back to crashing Bentleys full of strippers into lamposts. Perturbed, that void was filled with tons of blisteringly good new bands. 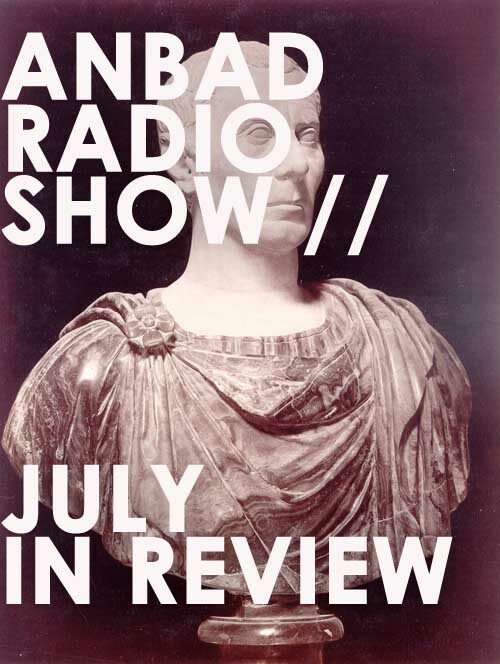 And, in celebration, here’s an all-new ANBAD radio show featuring the best five from July. GOAL! Wow, that was a two month gap wasn’t it? 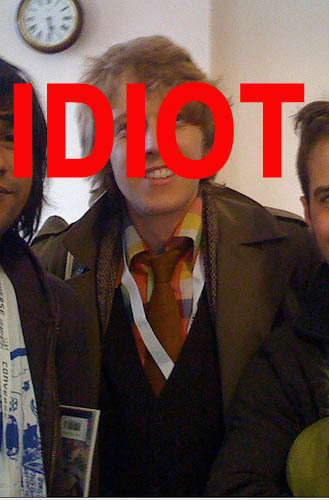 Stupid me. I can blame a few things for the absence of ANBAD vocal stylings, and indeed, if you listen to the show below, such excuses will be lamely put to you. But despite such jabbering it’s very much worth a listen, because there are some brilliant bands from last month, plus HOT CHAT in between. 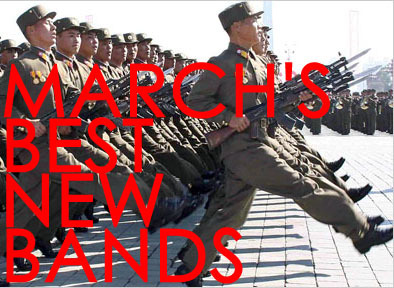 Like a great new band iPod, set to shuffle, with interfering chinwagging in-between. Good times. Get clicking! 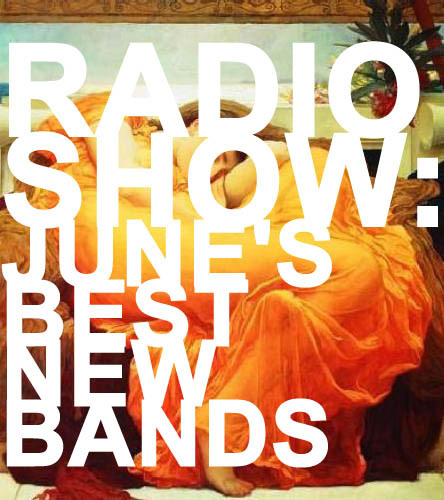 Last month was awash, indeed, with excellent new bands, and what better way to celebrate the fact than with a brand spanking new ANBAD Radio Show? Well, maybe there are actual better ways, such as ruminating on these matters on a Mediterranean beach whilst drinking cocktails served by supermodels, or even just buying their records, but this will just have to do.